Manjaro is a user-friendly GNU/Linux distribution based on the independently developed Arch Linux. Within the Linux community, Arch itself is renowned for being an exceptionally fast, powerful and lightweight distribution that provides access to the very latest cutting-edge software. However, Arch is also traditionally aimed at more experienced or technically-minded users. As such, it is generally considered to be beyond the reach of many, especially those who lack the technical expertise (or persistence) required to use it. 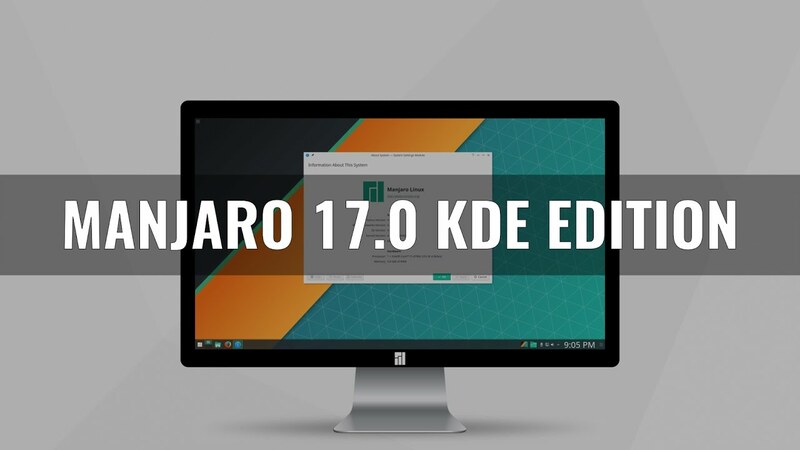 Developed in Austria, France, and Germany, Manjaro aims to provide all of the benefits of Arch Linux combined with a focus on user-friendliness and accessibility. Available in both 32- and 64-bit versions, Manjaro is suitable for newcomers as well as experienced Linux users. BudgieBudgie is the default desktop of Solus, written from scratch. Besides a more modern design, Budgie can emulate the look and feel of the GNOME 2 desktop. At this time Budgie is heavily under development, so you can expect minor bugs and new features to be added as time goes on.CinnamonCinnamon is a desktop environment that is based on the GTK+ 3 toolkit. Cinnamon originally started as a fork of GNOME Shell, thus initially as a mere graphical shell of the GNOME software, but became its own desktop environment in Cinnamon 2.0. Cinnamon was developed by (and for) the Linux Mint distribution, with wider adoption spreading to other distributions over time.DDEDDE (Deepin Desktop Environment) is the default desktop environment originally created for the linux Deepin distribution.EnlightenmentEnlightenment, also known simply as E, is a compositing and stacking window manager for the X Window System. Since version 20, Enlightenment is also a Wayland compositor. Enlightenment includes functions to provide a graphical shell, and it can be used in conjunction with programs written for GNOME or KDE. When used together with the Enlightenment Foundation Libraries (EFL), Enlightenment can refer to an entire desktop environment.GNOMEGNOME is a desktop environment that is composed entirely of free and open-source software. GNOME was originally an acronym for GNU Network Object Model Environment. Its target operating system is Linux, but it is also supported on most derivatives of BSD.i3i3 is a tiling window manager designed for X11, inspired by wmii, and written in C. It supports tiling, stacking, and tabbing layouts, which it handles dynamically. Configuration is achieved via plain text file and extending i3 is possible using its Unix domain socket and JSON based IPC interface from many programming languages.JWMJWM (Joe's Window Manager) is a lightweight stacking window manager for the X Window System written by Joe Wingbermuehle. JWM is written in C and uses only Xlib at a minimum. Configuration is by editing an XML file; no graphical configuration is necessary nor supplied.KDEKDE Plasma 5 is the fifth and current generation of the desktop environment created by KDE primarily for Linux systems. KDE Plasma 5 is the successor of KDE Plasma 4 and was initially released on 15 July 2014. It includes a new default theme, known as "Breeze", as well as increased convergence across different devices. The graphical interface was fully migrated to QML, which uses OpenGL for hardware acceleration resulting in better performance and reduced power consumption.LXDELXDE (abbreviation for Lightweight X11 Desktop Environment) is a free desktop environment with comparatively low resource requirements. This makes it especially suitable for resource-constrained personal computers such as netbooks or system on a chip computers.LXQtLXQt is a bundle of software packages under development, with the aim of providing a complete desktop environment. It was formed from the merger of the LXDE and Razor-qt projects.MATEMATE is a desktop environment forked from the now-unmaintained code base of GNOME 2. The name was originally all capital letters to follow the nomenclature of other Free Software desktop environments like KDE and LXDE. The recursive backronym "MATE Advanced Traditional Environment" was subsequently adopted by most of the MATE community, again in the spirit of Free Software like GNU. The use of a new name, instead of GNOME, avoids conflicts with GNOME 3 components.OpenboxOpenbox is a free, stacking window manager for the X Window System. Originally derived from Blackbox, Openbox has now been totally re-written in the C programming language and since version 3.0 is no longer based upon any code from Blackbox. Openbox is designed to be small and fast.XfceXfce is a free and open-source desktop environment for Unix and Unix-like operating systems, such as Linux, Solaris, and BSD. Xfce aims to be fast and lightweight, while still being visually appealing and easy to use. It consists of separately packaged parts that together provide all functions of the desktop environment, but can be selected in subsets to suit user needs and preference. PacmanThe pacman package manager is one of the major distinguishing features of Arch Linux. It combines a simple binary package format with an easy-to-use build system. The goal of pacman is to make it possible to easily manage packages, whether they are from the official repositories or the user's own builds.